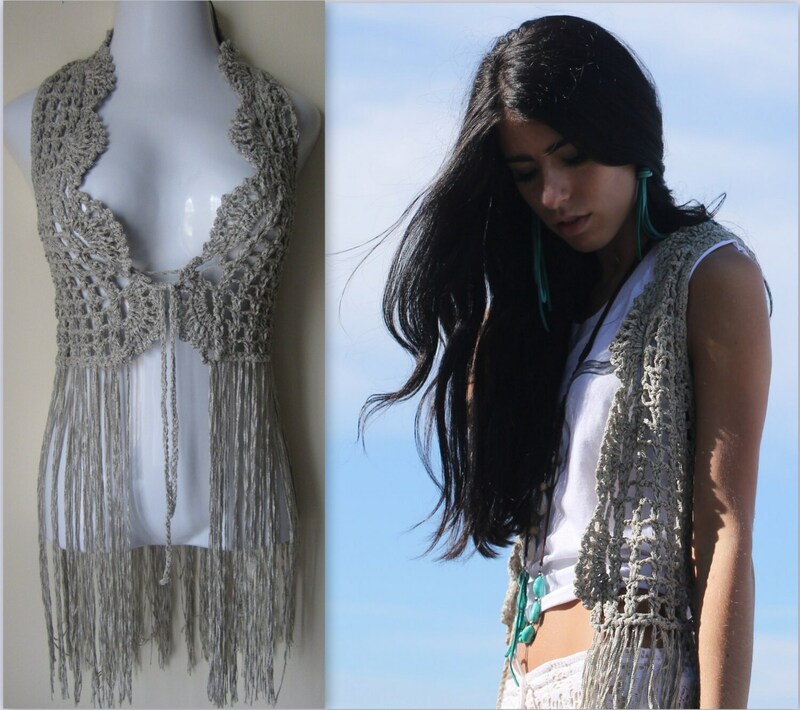 Get that retro look with this crocheted vest. 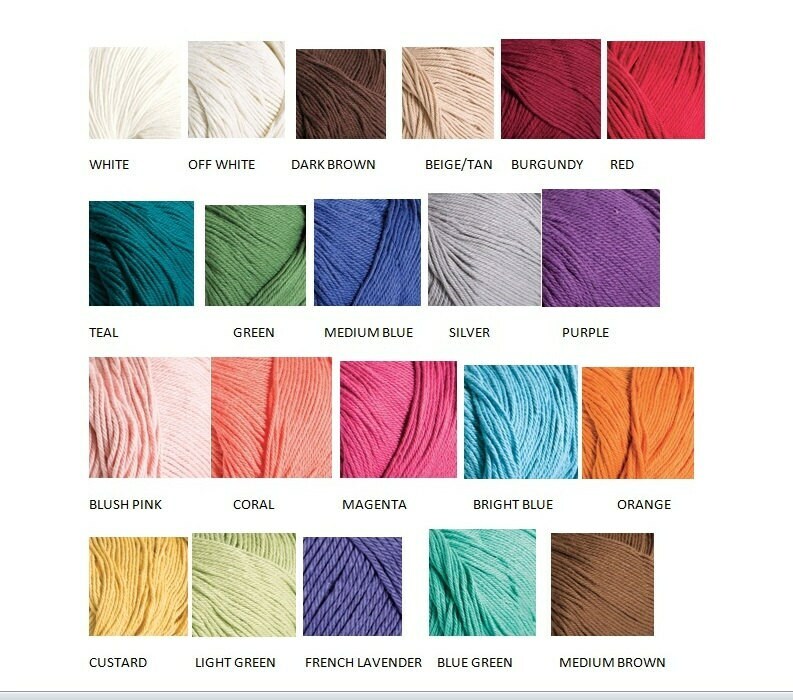 Made using SILVER cotton blend yarn. Perfect for layering and creating a retro and boho look. 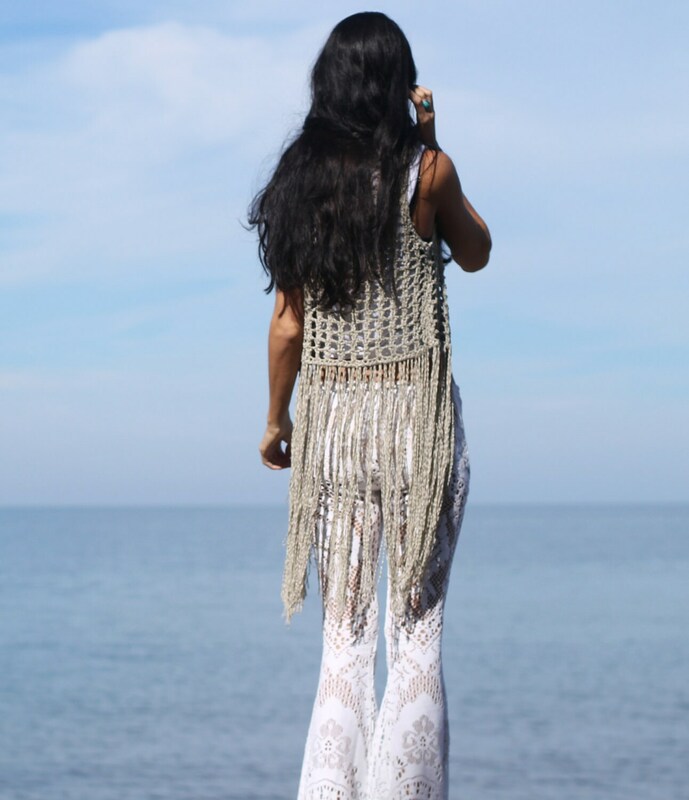 Luxuriously adorned with fringes, this vest is a must have for all your festival needs, summer days and beach/ resort wear. Fringe vest are in this season so do not miss out. Shipped very fast, thank you! Beautiful work!